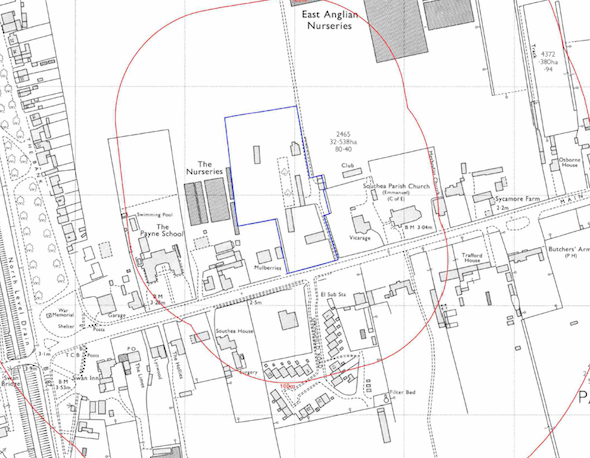 In order to support the application for the residential redevelopment of the site a Phase I desk study report was required to validate the application and to determine if there were any potential issues on the site relating to historical contamination. When commissioned to prepare the desk study report (which included areas outside the subject planning application) we became aware that there was anecdotal evidence to suggest that chemical / pesticide / herbicide storage had occurred on the site. Initially, the site history was ascertained by using a combination of Ordnance Survey maps, aerial plates and street level imagery, the first edition O.S. map revealed the site formed part of a garden with a number of buildings on the site. The 1976 map indicated the site was bound by a nursery. Two ponds were identified within 250m of the site. Data provided by Environment Agency and Groundsure indicated that an electricity sub-station was resent in close proximity to the site. On completion of the desk based assessment, a site walkover survey was undertaken the site comprised of a dwelling/garage, and three barn buildings. 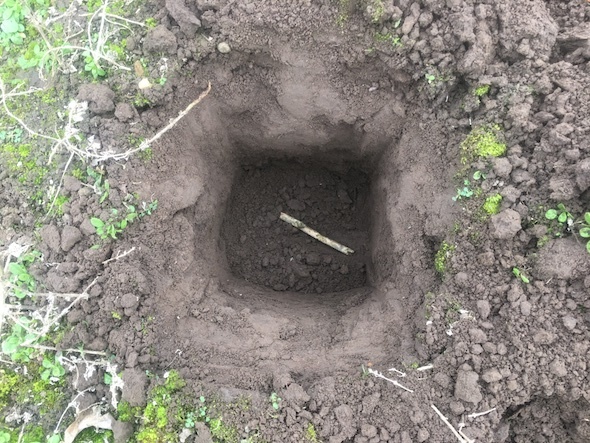 As part of the survey hand held trial pits were excavated and samples taken for chemical analysis to determine if there was any evidence of chemicals in the site soils. Whilst positive results were recorded for DDE, DDD and DDT all were below their respective Tier 1 assessment criteria, hence did not pose a risk to human health. The potential sources of contamination identified in the desk study report were assessed int he qualitative risk assessment to determine if any further works were warranted. 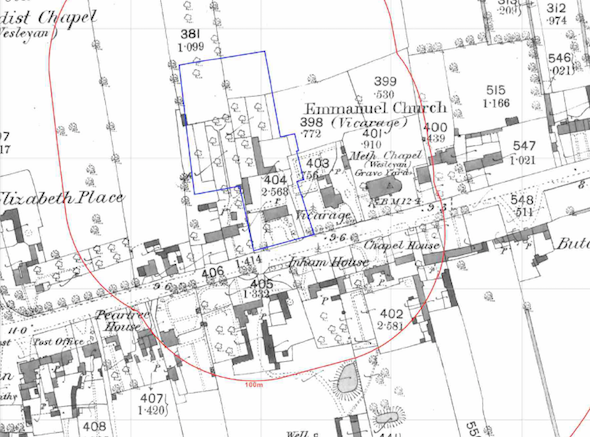 It was concluded that as made ground was present on the site as well as the site likely being used as part of the adjoining nursery, further works were proposed. The report wa submitted with planning application F/YR16/0627/F , the memo accepting the desk study report can be accessed here.